Should Smoking be Banned in your Bar? 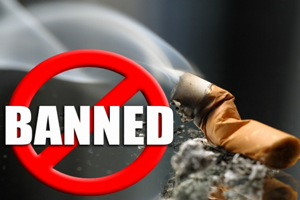 Smoking bans are gaining popularity in many sections of the world. Should you follow suit? We’ll discuss your options there and how you can either go with the crowd there or attract a niche audience to your bar or other business. This is a huge decision though and not one which should be made lightly. Therefore you should put a lot of thought into this before making your own decision. Otherwise you could be pushing a large section of your fan base away in either direction. For some of you the answer is simple and clear, you aren’t allowed to do anything other than ban it. This happens when state and federal laws give you no choice in the matter but to comply. You could of course try to keep it a secret from them but that is problematic in other ways, the biggest one being that it basically makes you an outlaw. Not really something you would want to do in most circumstances. On the other hand the issue is not simply going away. The smoking ban is gaining international traction due to stories like this. People all over the world are discussing the issue with supporters on each side trying to push their point of view. Arguments continue to heat up from America to Japan where many people have distinctly different viewpoints in each of these situations as well. No matter who you are it’s worth taking note of. Going with the ban is the choice that many are making. Customer health is important and at the very least it is completely proven that smoking is not good for you. On these terms and on simple popularity many have already decided to institute their own rules on it. For those with a health-centered establishment you probably already had this rule but never thought very much of it. It was just a natural conclusion to draw when you started the business. Your contemporary outdoor furniture will often end up in better shape from this. But even with all the positive factors this might not be the best choice for you and your establishment. If you have a large number of clients who enjoy smoking then you need to keep that. Especially if you sell any items on the premises as well. It can really hurt people and your sales if you manage to alienate them. Another question is whether to ban e-cigarettes. Long-term studies of these are still being done so we do not have a ton of scientific evidence on this. Many fear that the results will end up showing some troubling statistics. Whether this is the right decision we will only be able to tell later. Check with local bars as well and see what they are doing. If you decide to stick with it you can create a niche crowd that will grow larger as bans expand. If you have one of the only places to smoke comfortably in a city that’s a huge bonus. You can take all the customers who left the other areas because it was banned. 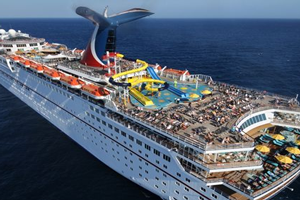 Carnival Vista is the new flagship product of the cruise line and a virtual fun park on the ocean. At the same time it offers a huge number of different shopping experiences as well. If you can bring the sheer variety that they have, as we have talked about before, you stand to make a real killing in the market. Combining the highest of the hi-tech features available with the natural beauty of the sea it makes sense why we would use it as an excellent example. As with some of the other projects we have featured here you should only try to take on a project of this absolutely massive magnitude if you have the money for it. This is for huge bars or incredibly rich businesses who can afford everything to be done at the highest level of quality. Not everyone can afford that but the ones who can will be able to rake in massive profits over the long haul and re-use the establishment for tons of visitors. Media coverage is also essentials. That is why there have been some huge promotional articles for this. Putting some money into promotion for your business is absolutely vital. It’s less important for homes or private people who simply want to entertain a few visitors. You probably should not go with this style if you are just a citizen looking for incredible style. Massive waterpark features are another addition to the area. These are quite common on cruise ships and they have the Kaleid-O-Slide which gives off a colorful show for anyone using it in addition to the fun of the ride. Having a gimmick is what matters when you want to appeal to families. It is being done correctly here in a number of ways. Their RedFrog Pub offers a variety of excellent drinks and some good food too. Having this in any bar or eatery is essential. Anyone looking for a good time will be trying to get a bit to eat and drink as well. If you have an establishment which isn’t quite good enough to draw people in this area then you need to look into some other options here as well. Outdoor Bar Stools usually take the form of lounge chairs in this area. However each one is made from the best materials and maintained regularly to make sure it is always looking good for the customer. As we have discussed before maintenance is almost as important as decoration in these cases. Therefore you should do everything you can in order to make sure you have the setting for this as well. The SkyRide is another establishment which is a pedal-powered air ride which lets people exercise while having fun. Incorporating exercise into your decorations or even daily routine can really draw in the health-food crowd and keep them coming back over the years as well. Viewers can also catch a movie as well. Creating a resort atmosphere is what matters. For those who can’t afford all this look into nearby businesses. Perhaps you could strike up some deals with them to make sure everyone is having fun on a completely different level. 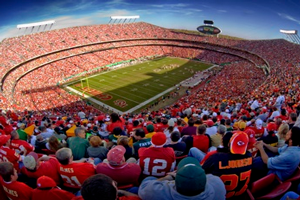 Huge sporting events can make or break your bar. We’re talking about a huge team fighting another one over bragging rights. We’ll be discussing the benefits and trouble that such an event can bring to your establishment. Unfortunately some very bad things can come with any competition so keep that in mind when you are preparing for an influx of customers. If you aren’t ready it could lead to a huge storm of bad reviews for your establishment. Our first rule of thumb is to order more. More what? Furniture, food and even help. Unless you have dealt with an influx of tourists like this before you probably will underestimate the sheer strain which it will be placing on your business. Most businesses have a problem with not getting the amount of material needed in order to keep up with the huge demand that you will face. You will probably also want to keep some extra staff on call for this as well. Many media outlets stress the need for improvements but don’t always go into specifics. So we’ll do that instead. Décor is important. It needs to be clean and very durable because you are going to have a lot of people who simply don’t care about damaging it. They’ll be gone from your town in a few days so it simply does not matter to them as much as it would if they were in their home town. Spending a bit extra is important here. Your setting should also be tourist-friendly with appropriate signage to draw people in. It should have a warm and inviting atmosphere so that they will want to come into your business instead of others. Wait times should be comparatively low, although people expect to wait quite some time if there is a huge rush on any setting in the area. This is just normal for those who regularly attend such events. Serving carts are also a must-have. Patio Furniture improvements are vital as well. In a worst-case scenario your setting could be the scene of a riot. You may even want to bolt some pieces down if you expect fans to get particularly rowdy. It can be very tough to manage all of these people because events like this are notorious for drawing angry feelings from those who lost, or violent feelings from those who won. Managing all of this can be very difficult for many. Insurance for some businesses is essential. Without it you stand the risk of having your entire establishment destroyed with no way to rebuild. That is not something anyone wants to think about but is something you need to think about in circumstances like this. You may have to pay a large amount of money for it but this is far better than being put out of business by a fire or similar event. As you might expect there is a payoff for this. That is the fact that you could do 10X the business you would normally see on a weekend. That means serious money and you could even raise some prices while still benefiting. The benefits are huge for this. Sheer variety is a huge draw since they have dozens of different draws. From a huge golf course to multiple top-quality restaurants it is an area designed to draw in high-spending businesspeople from all over the world. 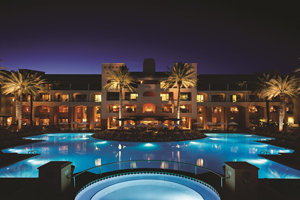 The Fairmont Princess is a huge and spectacularly popular hotel area that is almost like a small town in some respects. We’ll be studying the area and the lesson that sometimes you need to go big in order to make a real impression on your clients. All of this advanced care is also improved by, you guessed it, the natural landscape. If there is one theme that we can see across all the most popular establishments around the world is that they have some amazing natural features. Excellent landscaping is improved further by natural rock features as well in order to create a truly spectacular view in many sections of the establishment. Fire Pit Tables are just one of the features that lends atmosphere to this area. All of the items in each area are state-of-the-art and of the highest quality. This really makes each customer feel like they are getting what they paid for. Not everyone can manage this but you should have at least a few items in this style to really impress people if you want your bar/hotel to stand out as well. A variety of recreational activities is vital as well. Two golf courses and a world-class spa are vital parts of this area as well. It’s an environment where people feel good and spend more because of it. Customer care is of course absolutely essential to creating this sort of environment as well so all of the staff are trained to treat people with the utmost care and respect possible. Natural smells from the area are controlled for a clean environment. Utility is another essential part of the draw here. If you can offer places where people can gather it can greatly improve your bar/hotel setup. There are multiple, large meeting rooms and a huge ballroom with elegant furnishings in order to make sure everyone has something they need in order to keep business flowing properly. Without major draws like this you cannot compete with many similar establishments. Patrons can take a look at the features of this hotel which is often in the news for a high quality of services. The only problem with creating such an atmosphere is that once you have established such a setting you need to constantly improve on it in order to keep everything working correctly. A family-friendly atmosphere that keeps people feel like they are safe and secure is important too. So they of course have some security and work with local law enforcement. Unless people feel like they can relax in peace they would never come to a place like this. For many businesses that do not have adequate security it becomes the downfall of your business. Make sure that you have your own security in place when dealing with customers who are spending hundreds or even thousands of dollars on your services. Farmers Fishers Bakers, without commas, is how many people know this establishment. This mid-sized pub in Washington has received international interest for the way they decorate the establishment and the variety of food they offer. Drinks are also a big part of this for many patrons who go there to relax after work as well. Reservations are needed for the establishment but these are often worth it due to the unique charm that comes when you visit such an interesting area. The décor at Farmers, Fishers, Bakers is quite unique. Most of this is because they teamed up with nearby architects and designers to create pieces which were quite strange. Sculpted woodwork, decorative jars and even full paintings are all a part of the décor there. This makes it quite a sight to behold even if you are just visiting for a brunch meeting or other tiny event. Only extremely skilled chefs are invited to the establishment and the same goes for artists as well. Those pushing the envelope in design for both areas are allowed to flex their design muscles in an environment which is warm and welcoming to such ideas. As such the area is extremely modern and has some of the best equipment possible for those working there. Customers should expect the same treatment as those treated well on the staff. Items that stand out aren’t all of the décor of course. 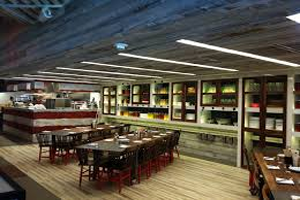 Aside from those they also have cozy, well-lit tables with a home-style atmosphere which puts patrons at peace. All of this helps people feel comfortable while still feeling impressed. This is something essential for running any good eatery or bar because people need to feel like they belong whenever you are working with them as well. Their Outdoor Furniture has the same sort of style as indoors. Crafted wood and molded steel with a clean sheen and good maintenance are things that everyone should take note of. You simply cannot go wrong with many of these. If they have been turned into unusual and innovative shapes then that is even better for you. As far as food and drinks they have higher-class fare with some varied dishes. Sushi is a constant dish for them but they have a large number of different vintages and foods to fit with anyone. At around $15-20 for a plate it falls in the higher level of eateries but not at the top level where each dish could be hundreds of dollars. As always you can charge more when your design impresses people. So what does this teach us? We should always be trying new things. If you run a business you should get involved with local artists and even buy some of their wares. They can give you the unique look needed to put your business on top. It may even allow you to draw in a completely new crowd. As always the business itself matters so be sure to match your food and drinks to this as they did, as well. 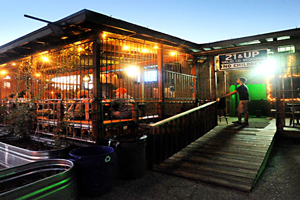 Austin Texas city council members have decided to promote establishments which want to serve food outside on their patios, balconies and the like. While you may not live there it is something for you to take a look at if your local area has strict ordnances on all of this. We’ll also talk about trends which may complicate these matters in the long run. As always these events can change and change businesses with them at the drop of a hat. Council authorities relaxed restrictions on all of this. It was a unanimous decision which allows areas with kitchens to serve food. Alcohol will also be served outside due to this which concerns some, which we will be talking about shortly. Basically this allows guests there to fully enjoy outdoor furniture and atmosphere in ways they never could before, at least in Austin. If your own area has ordinances about serving food and drinks outside you should keep changes like this in mind. If you are able to get the world of some city officials you could change all of this over time. Be sure to let them know about the benefits of such a setup. These are of course not limited to increased profits for the business but if they enjoy eating at your establishment they could use this as well. In the same way this ordinance was passed after the owner of Dusty’s Bar and Lounge asked the city to work with this. As always those serving all of this will need to have proper licenses to do business and will need liquor licenses to actually serve customers outside. Most of the businesses in the area have this, all of them in downtown do obviously. Austin has moved forward in a variety of ways in recent years, making it one of the most cosmopolitan areas in the south. Not everyone is being allowed to do this, 70 percent or more of your business needs to come from the sale of food or drinks. Outdoor Furniture will not have to change much for businesses to take advantage of this. Since high-quality furniture at many bars can be used in any area it is very easy to manage all of this. Many stools are easy to move from one area to another. Not everyone is thrilled about this. People such as Police Chief Brian Krueger are annoyed that the ordinance passed. Why? Because drinking outside often causes some serious problems for those related to the setting. Rowdy customers can sometimes cause serious problems. For many the risk is worth it so they are going to go with the ordnance anyway. The extra summer traffic helps. If you live in a similar town keep in mind that this can change as well. For example your town may ban outdoor eating due to smokers. Some people believe that you should always cut down on any smoking, even if some eaters will be smoking anyway. Ideas can change at the drop of a hat and you should modify your seating accordingly.